Every now and then, Susan and the boys get together to talk about comics on the internet. Some refer to it as genius, others say it’s idiocy. We just call it the Comic Impact POW podcast. 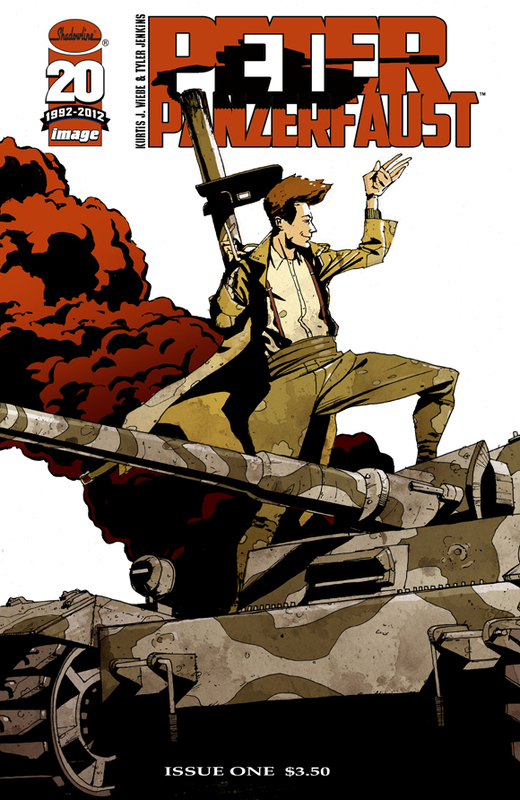 Not only is Susan the queen of the world, but she also had the pick this week.The crowned jewel was Peter Panzerfaust #1. For once, the boys didn’t berate her! They actually read the book and liked the pick! Susan’s queenie charms have been working. Simon, the page boy, talked about the wonder that is Red Hood and the Outlaws (no matter what anyone else says), then he goes on to the perfection of Scott Snyder’s Batman. The jester, Sheldon Lee, defends Glory against attack and gushes a bit more on Sacrifice by Sam Humphries. Then, the three summoned their greatest asset, imagination and came up with a lightning round. Each of them gushed about one book for about a minute, starting with Queen Susan. Have fun romping through our joyous kingdom filled with bunnies, caterpillars, and a bed of comics!